Something truly special happens when you share yourself with others …. You’ll have opportunities to meet new people and make new friends, share interests and hobbies with others, work in a beautiful and stimulating environment, and make your community a better place to live. An added benefit is the satisfaction that comes with helping the Botanical Center fulfill its mission by providing valuable services and programs for school children, gardeners, nature enthusiasts, professional horticulturists, homeowners, and others in the community. Our volunteers are special people. They care. They have a sense of commitment to something greater than their own personal needs. They have a direct impact on achieving the mission and goals of Roger Williams Park Botanical Center. We recognize that our volunteers provide the Botanical Center with a resource of talent that is unavailable in any other way. 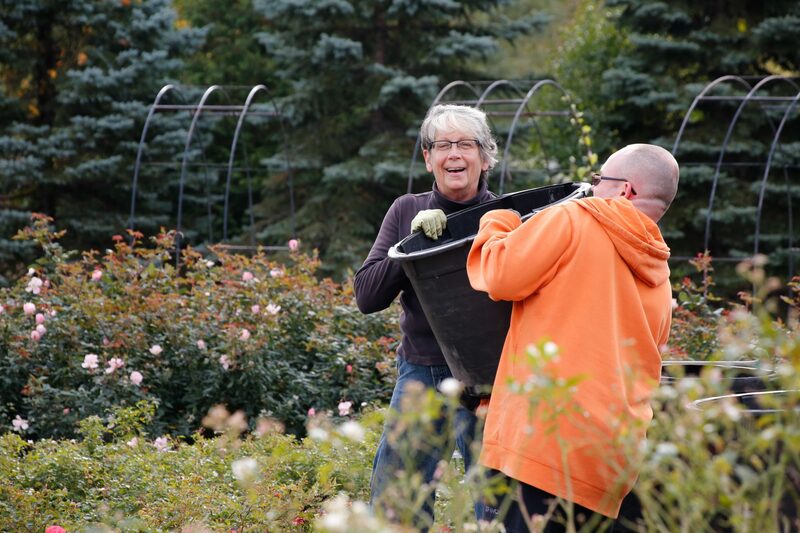 The Botanical Center and The Parks Department value this contribution and hopes to offer each volunteer a satisfying, productive, and rewarding experience. We wouldn’t be here if it weren’t for volunteers who have a passion for gardens and gardening. Do you love working in the garden? We’ve got something you might be interested in. From planting seeds and plants to weeding, deadheading, and pruning. We can use whatever help you have to offer. Don’t have experience but willing to learn? Work side by side with experienced gardeners, it’s a wonderful learning opportunity for experienced and beginner gardeners alike. It’s one of the best ways to receive practical hands-on experience if you’re a beginner gardener. Our goal is to assure that each garden receives the care it requires. Interested in educating people and children about the importance of plants? Our Docent Volunteer program is a great opportunity to hone your public speaking skills. As a Docent Volunteer, you will get to learn from expert presenters and share your knowledge with school children, garden clubs, and diverse community groups. We also have opportunities in caring for dwarf Nigerian goats! 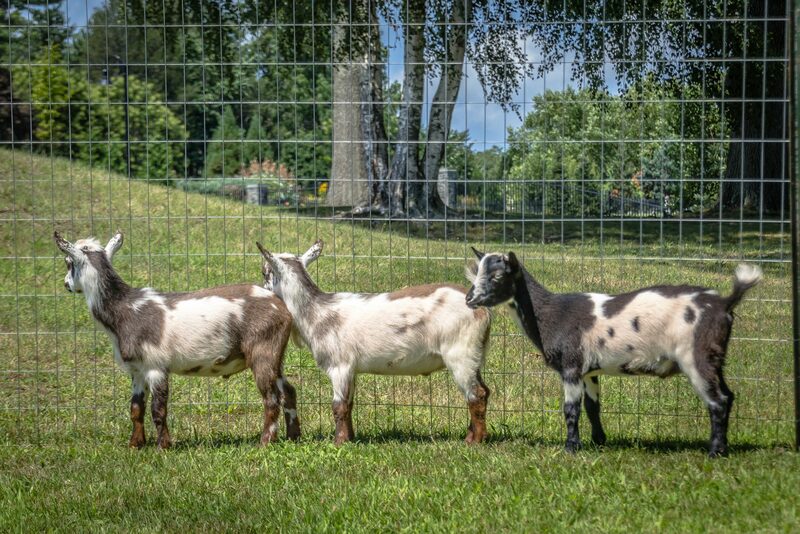 From left to right: Salvador, Vincent van Goat, and Jean Ralphio. The Botanical Center also welcomes students interested in doing an internship. We have opportunities to work in the office, on social media and marketing, designing new garden displays, producing educational materials and more!